This vacation residence is located on the eastern side of the Shelter Harbor peninsula in Westerly, Rhode Island. The property has direct water access to Quonochontaug Pond. 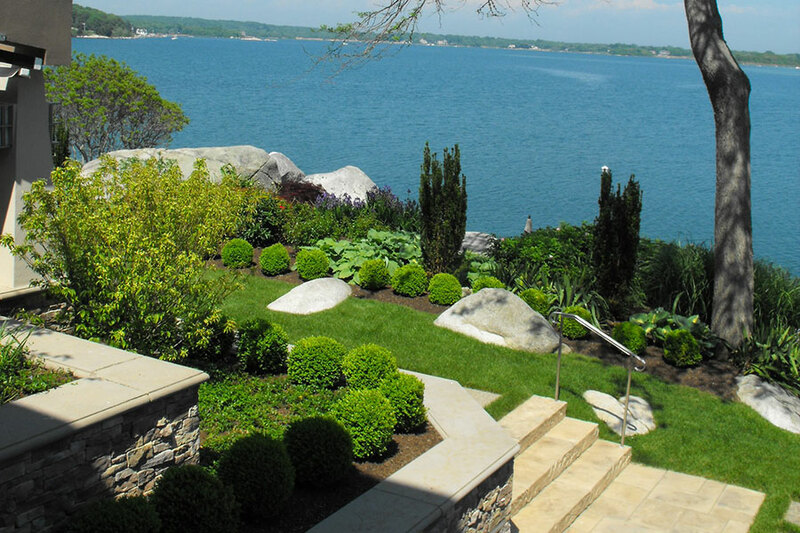 Landscape Elements LLC worked closely with the builder, Bradford Aubin of Bradford Design, Rhode Island to provide the owners with a variety of outdoor experiences. The house sits lengthwise on a north-south axis. The front entrance is on the west side and is directly centered on a circular driveway. 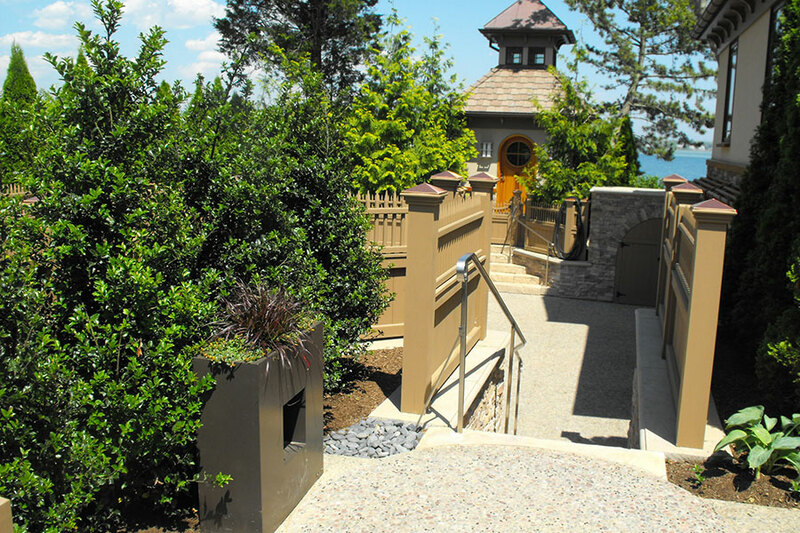 Privacy from the road is provided through layered planting areas and a fenced courtyard. The northern end of this courtyard leads via steps to the lower level driveway which provides access directly into the basement level multi-car garage. A multi-story “shed” building provides a focal point at both the eastern end of the driveway and at the northern end of the rear yard. This “shed” structure houses pumps for water features and other utilities as well as outdoor showers. 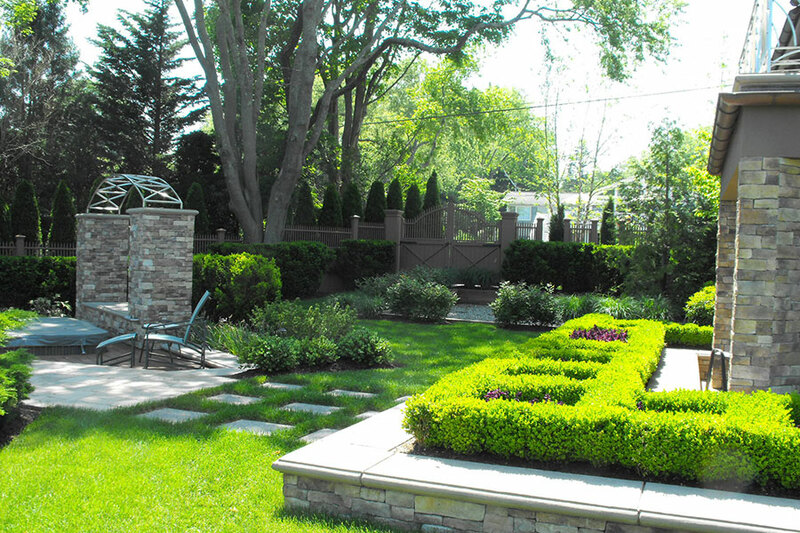 The rear yard faces the water and provides access to a dock and waterfront deck as well as the natural rocky shoreline. 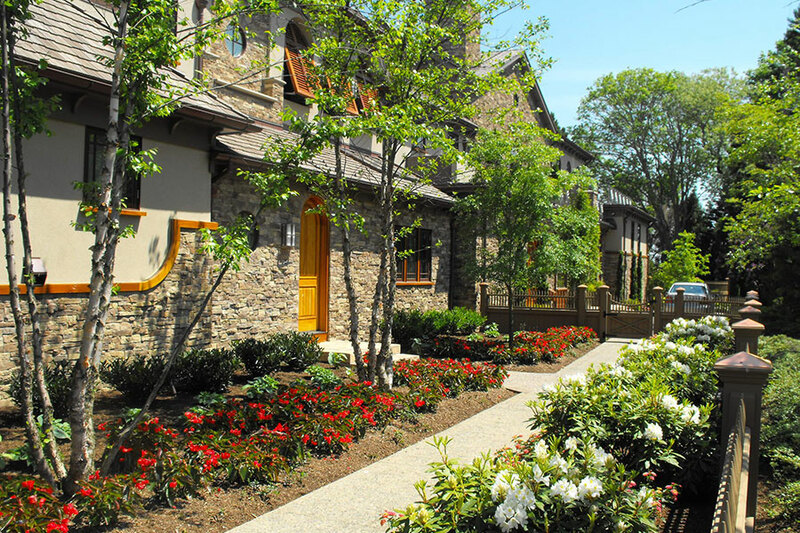 Other outdoor areas include a patio and kitchen directly adjacent to the indoor kitchen and dining areas, and an outdoor water feature and stone deck adjacent to the living room. 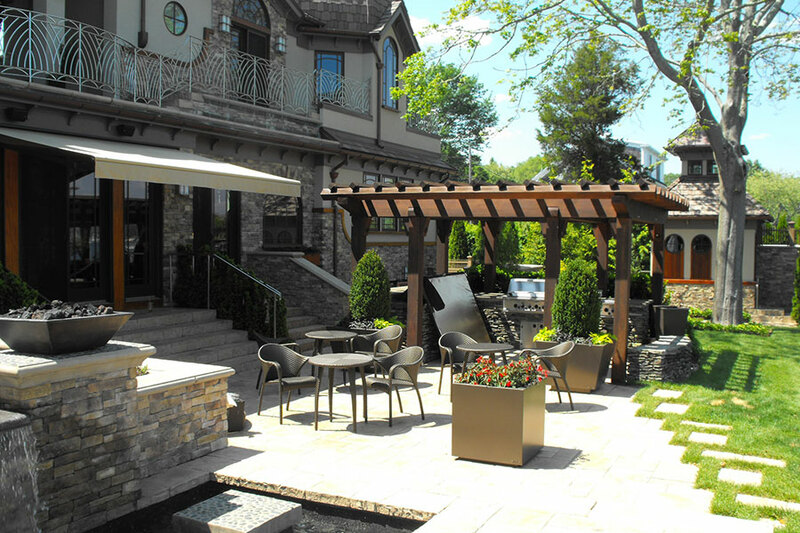 An old Black Locust tree was pruned and retained as a focal point near the spa location. The overall focus of this design was to provide privacy, enhance water views, present clean geometric lines to accent the architecture and provide a smooth flow of circulation between the house and the various outdoor spaces.